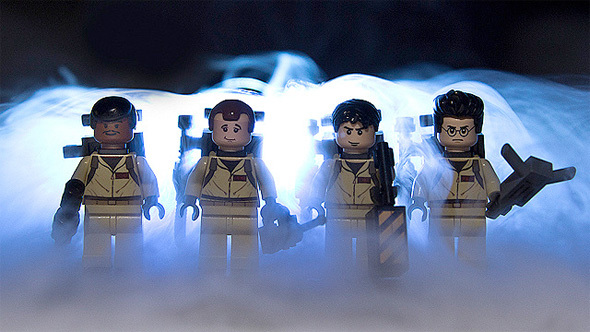 Though fans may have had their dreams of a Shaun of the Dead LEGO set crushed in the spring of 2012, the community driven site of LEGO fans at Cuusoo do have the Back to the Future LEGO set which should be on shelves now (see photos here). Now it's time for fans to step into action again as a very special LEGO set needs votes into order to go before a real LEGO jury to determine whether or not they want to put the set into production. 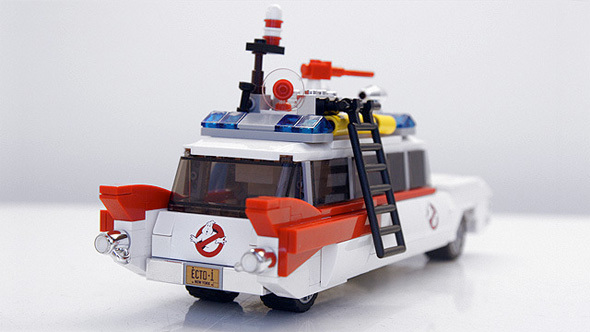 BrentWaller has crafted a 30th anniversary set featuring the iconic Ecto-1 vehicle from Ghostbusters for the film's 30th anniversary in 2014, and yes, it has LEGO minifigures of the whole team. 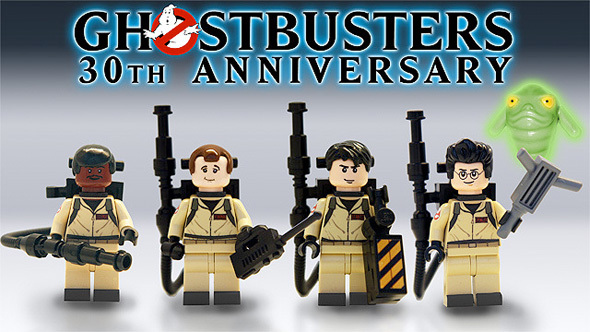 There was a cool detailed LEGO set of the entire Ghostbusters firehouse that surfaced online earlier this year, but this is less ambitious, while not being any less cool. 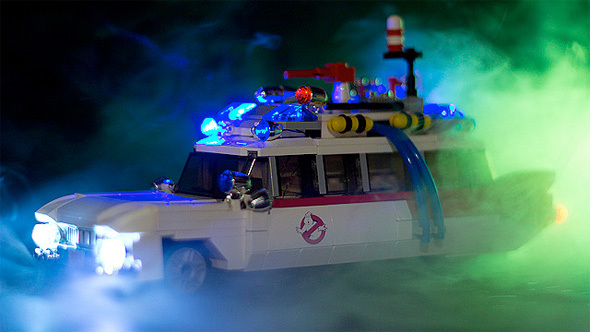 The set will allow fans to build the Ecto-1 and includes LEGO minifigures for Peter Venkman (Bill Murray), Ray Stantz (Dan Aykroyd), Egon Spengler (Harold Ramis) and Winston Zeddemore (Ernie Hudson) along with the green spirit known as Slimer. The set needs 10,000 votes in order to be considered for production, so head over to Cuusoo and let's get this set on the way to toy shelves everywhere! It would be a great piece to buy on the film's 30th anniversary. Cool? You know Ethan...you wouldn't think something this cool would even need to be voted on, you think it would just be a go. But seeing how it isn't I better put my yes vote in! Wiiiiiiinnssstooonnnnnn! I am so voting for this! I can't support this until the figs have boots on their feet. They look like they're wearing pajamas.